Don’t knock physical faders: they work. And with proliferating options, somewhere out there, there’s a control surface for you. 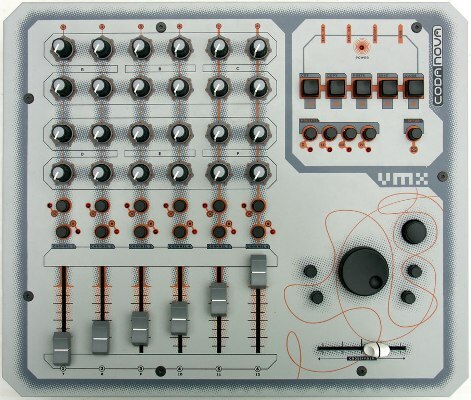 The latest candidate: Codanova’s new VMX, yet another control surface for self-powered use via USB or standalone MIDI operation. 59 assignable controllers, including 2 jog wheels, a cross-fader, and various faders and knobs. The jog wheels are a nice touch, and the controls look promising as far as quality, particularly the ergonomically-shaped crossfader. I asked creator Gilles Moncaubeig for some advice about where to buy this. In Europe, you can buy from R-Digital, playback.fr, and Mix Experience. It’s even on an eBay.fr store for 389,00 EUR. In the US, opt for Mix Experience as they will ship from Europe to our shores. Sure, these new-fangled touchscreens are fascinating, but I can still do a lot with physical faders for a fraction of the price (and with my eyes closed, something that can’t be said for the touchscreen). Got a control surface you love? Hit comments and let us know.